Mama Elephant | Stamp Right Up! Last week I participated in the Share Handmade Kindness challenge hosted by Jennifer McGuire Ink. The first week was to create something handmade for a friend or family member. This week is the second week for the challenge, this week we are to share a handmade project with someone who works in the community. I just recently discovered these ‘peel-off’ stickers from Elizabeth Crafts. I knew that they would work perfectly with the Mama Elephant sentiment from Carnival Cupcake Toppers for a card to go with the scented cupcake earrings I made for my doctor that worked with me for 4 years through my recovery of a car accident. 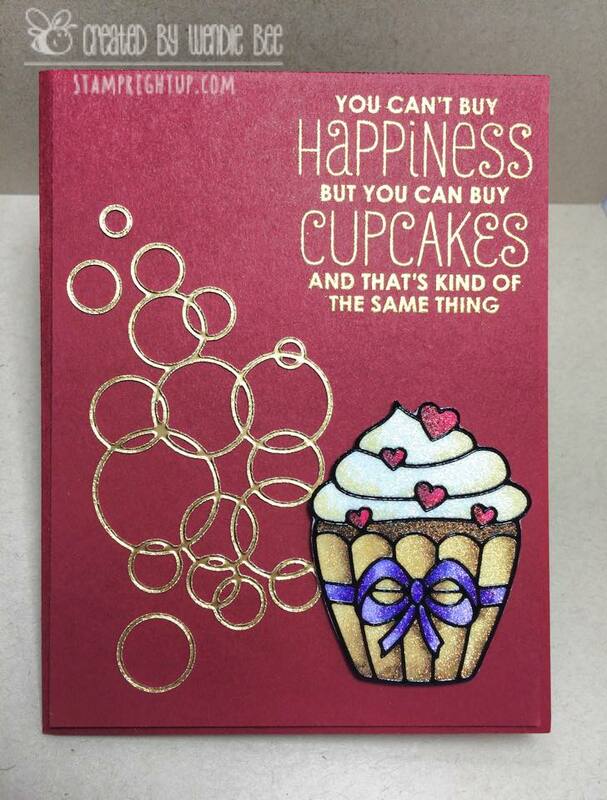 I just recently moved away and never got a chance to give her something, so I knew that my little cupcake earrings would be perfect pairing with this card! 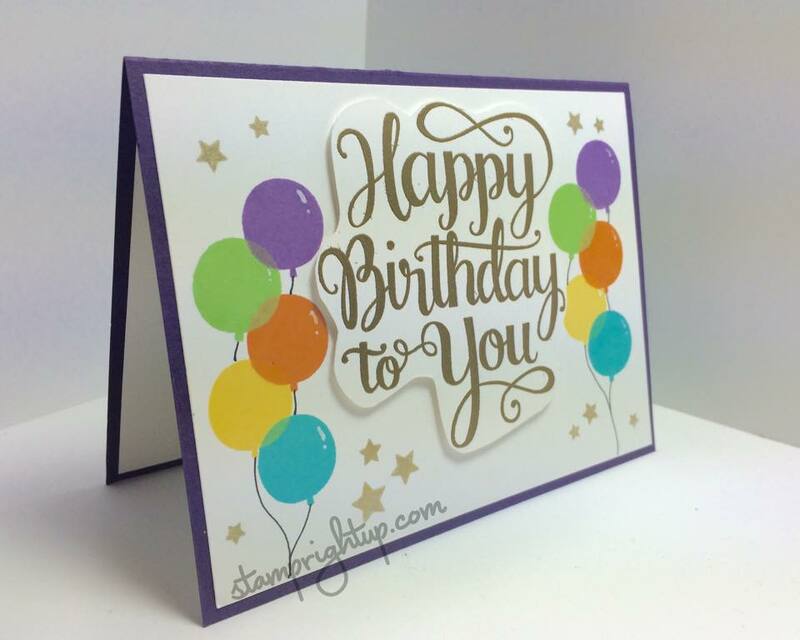 Today’s project is a super bright & festive Happy Birthday card. 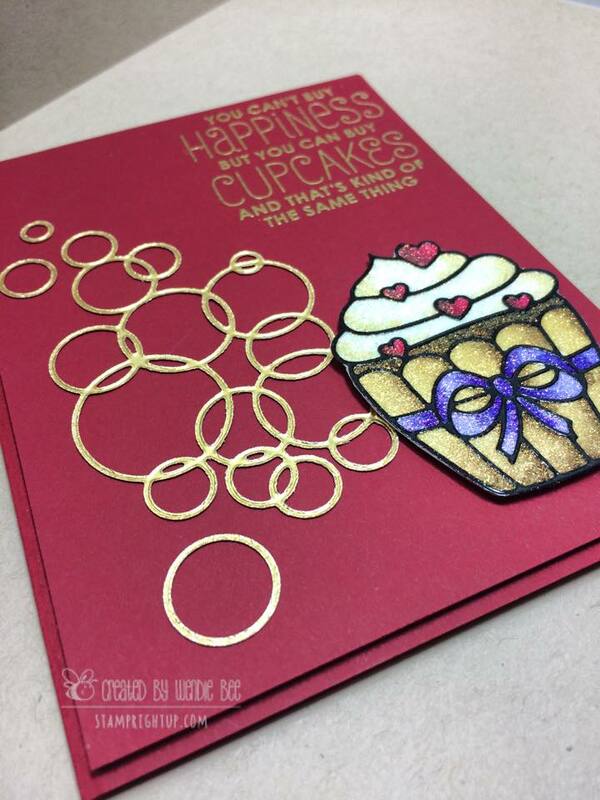 I am lucky enough to be able to make cards for my fellow workmates at my day job – this was one that I created. The first try I had at this card the balloons didn’t turn out very well…. but I had already stamped & embossed the sentiment & I really didn’t want to have to do it again – so I had the idea to fussy cut the image out & I am actually quite pleased with how it turned out! Using the Mama Elephant sentiment from Make A Wish I gold embossed it, then stamped the stars in gold Encore ink. 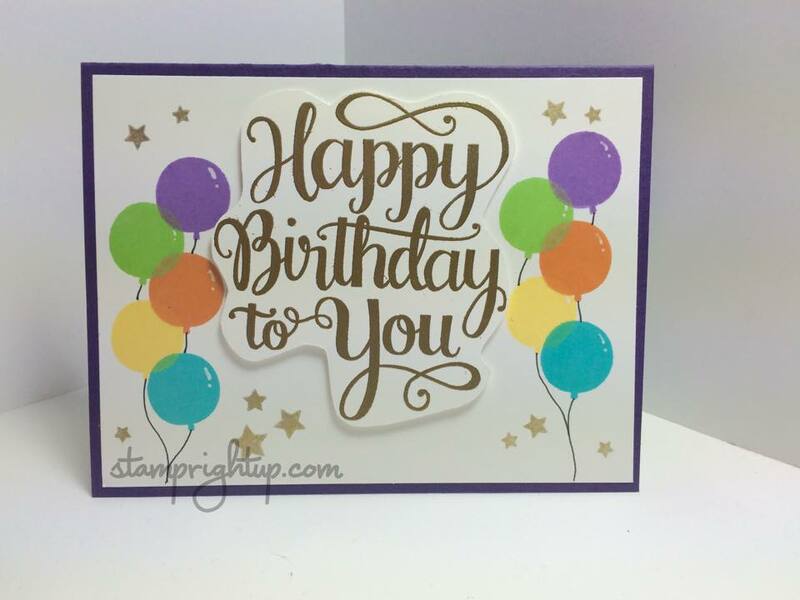 The balloons were stamped using Lawn Fawn inks: Peacock, Fake Tan, Sunflower and Sugar Plum. I had drew in the strings and used a white gel pen to add the shine accents. Hope you like my project – don’t forget comments are welcome & very appreciated! 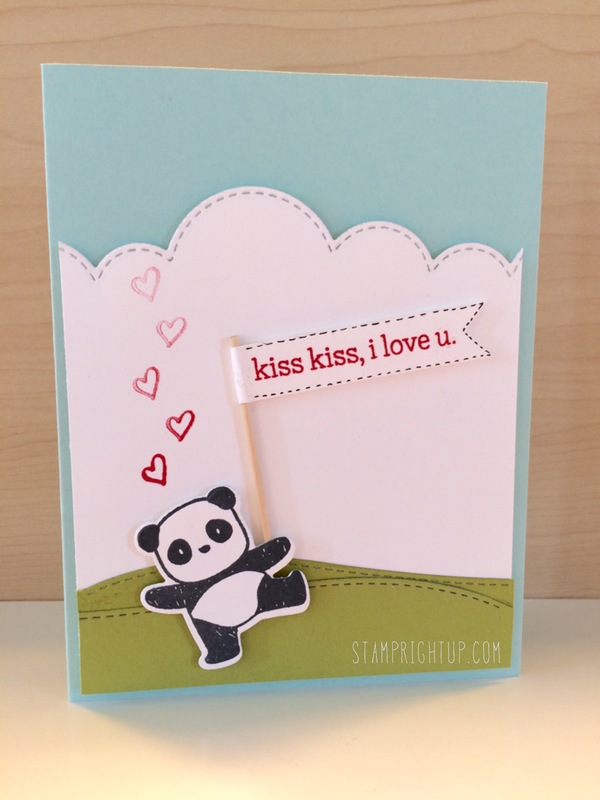 Just wanted to share this adorable card I made with Mama Elephant’s Pandamonium and Up Up & Away set. This card was made for a friend who lives on the opposite coast from me – so the sentiment was perfect, and who can resist those pandas?! 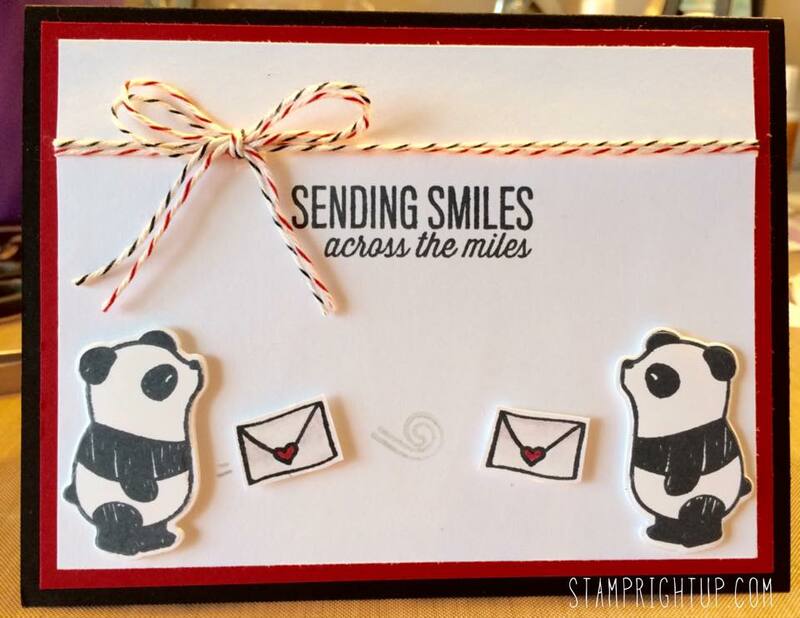 Nothing says I love you like an adorable Panda – I made this card in celebration of Mama Elephant’s second anniversary / October challenge.